Alix offers integrative therapeutic massage centered around each individual client’s needs and preferences, combining the modalities of Swedish relaxation, sports, trigger point therapy, Thai massage, Chinese gua sha and cupping, Reiki energy work, and CranioSacral therapy. Alix draws from her knowledge of anatomy, alignment, and movement as a yoga instructor along with her intuitive sense to help relieve muscular stress and tension, avoid and recover from injury, deepen awareness and connection to one’s body, and allow space to move into a state of deep relaxation. Suggestions for specific stretches and yoga poses will often be given. 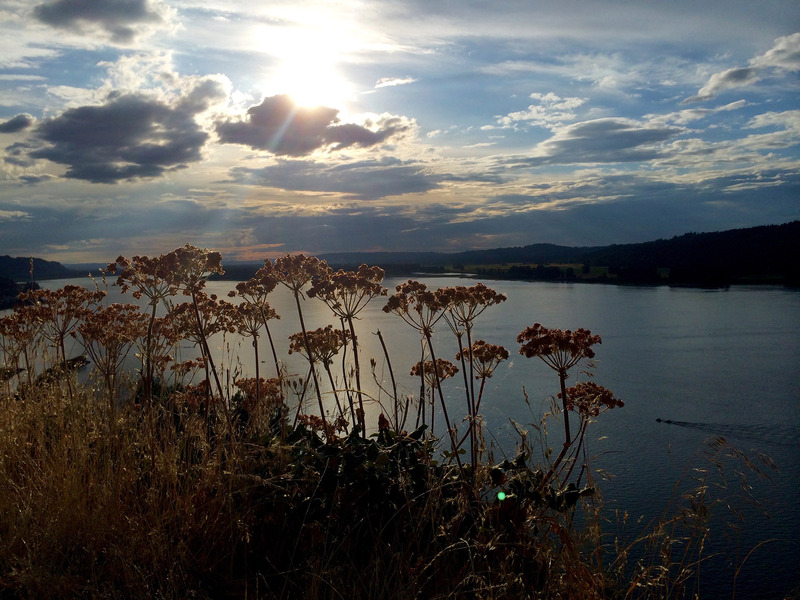 Alix’s massage work has been described as gentle yet deep and effective. For more information on her training see About. Thai Massage is an ancient healing art that dates back over 2000 years. The therapist moves the client into passive yoga like stretches and applies gentle pressure along the body’s energy lines, similar to acupressure. Traditionally performed on a padded mat on the floor with the client fully clothed, Alix incorporates Thai massage onto the table. Thai massage is great for increasing flexibility and range of motion, increasing circulation, relieving pain and discomfort, and is generally described as both relaxing and energizing. Chinese gua sha and cupping are both powerful traditional bodywork techniques used to break up localized stagnation, adhesions, scar tissue, increase circulation, and relieve pain. Cupping involves the placement of cups onto the skin in order to produce a vacuum effect that targets the skin and deep underlying tissues. Gua sha (literally scraping) uses a smooth edged tool to scrape the skin along muscle fibers. Reiki is a subtle and non-invasive Japanese energy work technique that promotes healing, stress reduction, and wellbeing on all levels. Sessions are generally a deeply relaxing and insightful experience. The client is fully clothed and resting comfortably on the table. Reiki can be given as a treatment on it’s own or added to any massage. CranioSacral Therapy (CST) is a gentle hands on technique used to evaluate and release restrictions in the soft tissues surrounding the central nervous system, allowing for a deep release of chronically held tensions and dysfunctions by facilitating healing and balance in the whole body. Treatments can assist the body to alleviate conditions including chronic neck and back pain, injury, migraines and headaches, TMJ (Temporomandibular Joint Syndrome), chronic fatigue, insomnia, fibromyalgia, and any stress related disorder. A CST treatment promotes restoration and relaxation and is performed with the client fully clothed on the massage table, or can be integrated into any other massage. three 90 minute massages for $300. 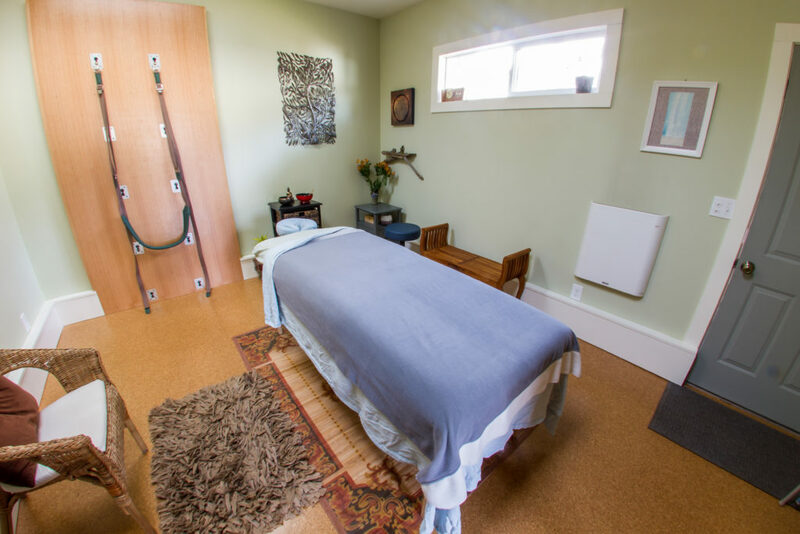 Massage sessions are held inside Alix’s peaceful renovated garage studio oasis adjacent to her home in close in NE Portland. To schedule an appointment please contact Alix.